is made up of local high school youth from surrounding Washtenaw county middle and high schools. We work to create awareness for youth voice in the Washtenaw Area. Youth who participate in the organization will have an opportunity to learn improvisational skills, interactive theatre, and gain an understanding of theatre for social change; whether it be their school or community. CTT's performances seek to increase community engagement, access to youth perspective and generate community dialogue. CTT strives to recognize what issues the youth community deems most important, provide a safe place for teens and young adults to share their experiences, highlight the diverse nature of our neighborhood and help establish a greater sense of accomplishment for the youth community. 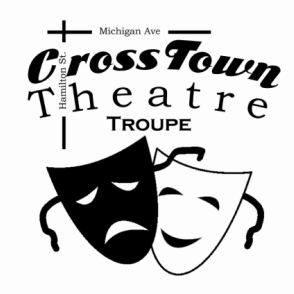 CrossTown Theatre Troupe is made possible through the 21st Century Bright Futures Program, Gear Up and the office of Academic Service-Learning at Eastern Michigan University. CrossTown is housed as an after-school enrichment club during the school year and/or by request during the Bright Future's Summer Arts Day camps.